The foundation of the CardioLab family, CardioLab* IT is well suited for facilities requiring essential functionality and exceptional performance in an EP recording system. 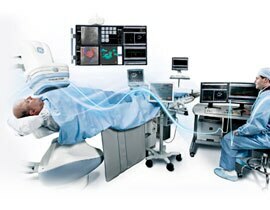 GE Healthcare announced a long-term agreement with Biosense Webster, Inc., in which the companies will co-distribute their leading electrophysiology (EP) systems - including GE's CardioLab* EP Recording System, ComboLab* EP and Hemodynamic Recording System and Biosense Webster's CARTO** 3 navigation System1 - in Europe, and will collaborate to enhance the functional integration of their recording, imaging and 3D mapping systems. "GE Healthcare is committed to becoming a total EP lab solution provider as we work to meet the clinical and workflow needs of electrophysiologists. 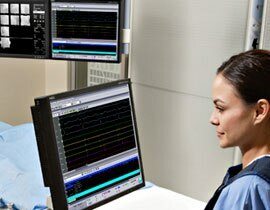 The arrangement with Biosense Webster moves GE Healthcare closer to realizing that vision by enabling us to provide our European customers with a more comprehensive portfolio of EP products than any single company can provide," said Jean-Michel Milles, General Manager of Cardiovascular, GE Healthcare. 1 Always verify catheter tip location using fluoroscopy or IC signals and consult the Carto** System User Guide regarding recommendations for fluoroscopy use. 1.Bertaglia E, Bella PD, Tondo C, Proclemer A, Bottoni N, De Ponti R, et al. Image integration increases efficacy of paroxysmal atrial fibrillation catheter ablation: results from the CartoMerge** Italian Registry. Europace 2009;11:1004-1010. **All third party trademarks belong to their respective owners.